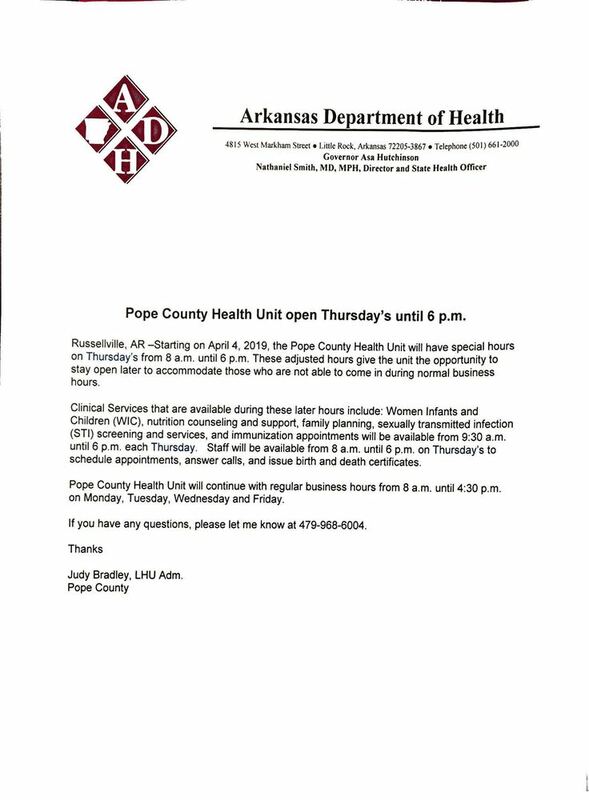 Beginning April 4, 2019, the Pope County Health Unit will have extended hours on Thursday's from 8 a.m. until 6 p.m. They will continue regular business hours from 8 a.m. to 4:30 p.m. throughout the week. This adjustment is to accommodate those who need extended evening hours. Questions may be directed to Judy Bradley, LHU Adm., 479-968-6004.